If you're a booklover like the folks at Spoonflower HQ, you'll be in heaven when you see this collection of library designs. 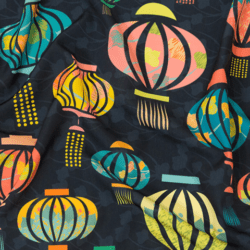 Congratulations to this week's winner, a brand new designer on the Spoonflower site, Veronica Bayagich! 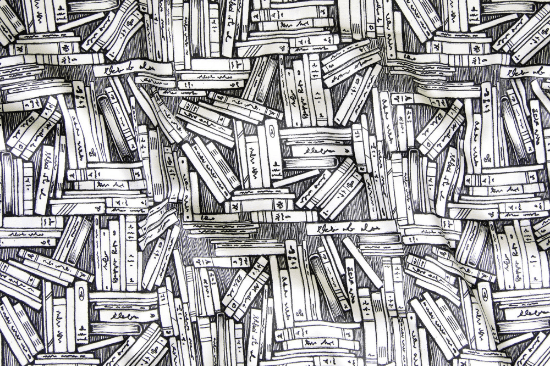 Check out her gorgeous black and white print, and the rest of our top 10 book-inspired fabrics. 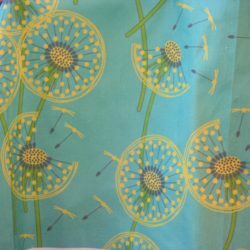 Announcing the Top 10 New Years Tradition Fabrics! Announcing Our Flights of Fancy Contest Winner! « Win a Sewing Book + Performance Piqué!